The Stallion Angus Ranch location in the Texas Hill Country has been involved with Black Angus cattle genetics since 2002. The primary goal is to develop a herd of top quality genetics by using continuous improvement to strive to be in the top five percent of the breed. The areas first written history was in 1716 and its first noted cattle operation was in 1779. Stallion Angus Ranch continues to write history for the area by being one of the few seedstock Angus operations in Texas that is using DNA diagnostic testing via Pfizer’s High Density (HD) 50K nucleotide polymorphism markers to continue to high-grade the genetics of its herd. Partnered with some of the best Angus breeders in the country, Stallion Angus Ranch has improved its herd to include ownership in some of the industry’s best dams and bulls. Stallion’s breeding program focuses on attempting to continuously improve its herd’s genotypical and phenotypical properties to produce a superior product by its mating decisions. The Ranch and the San Gabriel River, which flows through it, has an interesting history. The nomadic Tonkawa Indian Tribe was the earliest chronicled human inhabitants of the area. The area was first explored and documented by Felix de Espinosa and Domingo Ramon. Further documented exploration was dated in 1779 by Athanase de Mezieres and in 1828 by Stephen F. Austin. All were amazed and chronicled about the beauty of the land and the abundant wildlife near the river. Over this century of exploration the river was named San Xavier, San Javeriel, and finally San Gabriel. All three named rivers thus became a historical part of the Brazos River Watershed which runs 840 miles from New Mexico to the Gulf of Mexico. 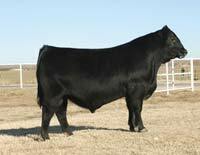 Stallion Angus Ranch welcomes you to its website and its Black Angus herd genetics. If its genetic program can help improve your Angus herd, please contact the Ranch and become part of its history.